Do you think this bag is still worth keeping? I have this bag and I love it... but I have yet to use it! I bought it because it was my dream bag for years and years. So it really is up to you. If you like it, yes. If you're keeping it because you're hoping there will be a renewed interest in MJ and you can get serious cash for it, no. I'm keeping my little stams but have been selling my regular sized ones because they look dated to me. I didn't buy classic styles, though; they were all specialty stams and my taste has changed. Shelbyrana - I also bought it because it was the first designer bag I ever wanted! lol. I'm just unsure where to use it. It seems too blingy for everyday but I guess too big for special occasion. I used to drool over celebrities with their Stam bags...now I don't know how to use it because I am such a crossbody girl! netter and Shelbyrana like this. Maybe I'll wear it with my band shirts and jeans...will it look out of place? I still have my stam and haven't worn it at all. Maybe we can use this thread as inspiration by posting ootd pics with it. I still like mine, it's the most ladylike bag I own. Yes, that will be awesome. I still like it too. Just don't know where and when to wear it! which stam do you have? I have the black classic Stam. The big one. netter, Antigone, rainrowan and 1 other person like this. Maybe we should look at celebs carrying stams for inspiration. netter, elisabettaverde, Kmora and 4 others like this. I have three MJ stams -- purple, berry and a bronze one (repainted black). I love all of them. The only thing I wish was a strap that's easier on the shoulders. If I don't have to multi-task, then I carry it over my arm or hand-carry. netter and Antigone like this. I have three of them: black, truffle and burgundy. I haven’t used them in a while but I normally wear them in the summer time when I carry less to work. I never owned one but I still think it’s an awesomely stylish bag. I think the chain and quilting is still very relevant. 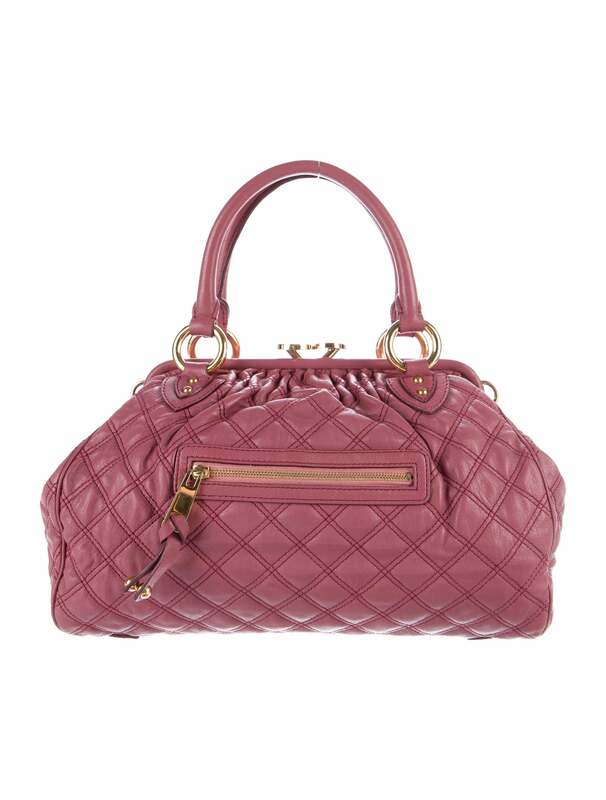 Dior, Chanel always have quilted bags with chains in their collection. I actually wish Marc Jacobs would reintroduce an updated Stam bag collection, cause I missed out the first time. netter, elisabettaverde, Mariquel and 2 others like this.